So I’ve recently made a little change. I don’t play just GCEA anymore. I’ve picked up the bass and have made a move to the dark side. EADG. It’s very intriguing. The deep, full tones of a bass are a totally different experience from playing an ukulele and I think it may suit me better. 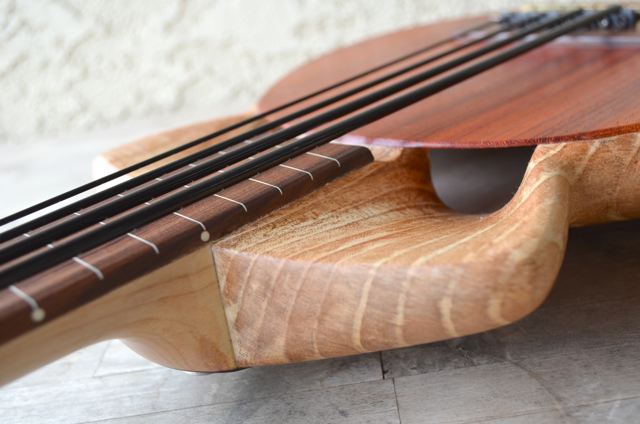 We’ve been working on a new iUbass and have even begun research on a short-scale bass in the range of 30 inches. Yes it’s a new and interesting journey. We of course, are not abandoning the ukulele, they are just too fun, but we’re definitely branching out. We’re also starting our planning for next year. We plan on hitting more shows in 2016 and we want to have a full-compliment of ukuleles with us. Keystones, semi-hollows, a new iUbass…we are heading into the busiest time of the year in the shop. Good fun.